Educated at the University of North Dakota, Anderson graduated with a BA in English Literature in 1911. He entered Stanford University in 1913 and received his MA in English Literature the following year. He then taught English for three years in San Francisco before joining the Whittier College English Department in 1917. Anderson worked for a number of newspapers and periodicals, but seemed to lose his job frequently, either because of his pacifist views or his arguments with superiors. He founded The Measure: A Journal of Poetry in 1921 while working for the New York World. 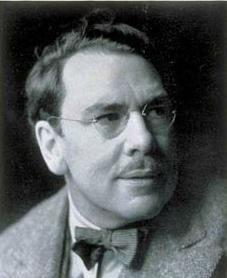 His first play, White Desert, was produced in 1923 and, although short-lived, received critical acclaim. His next play, What Price Glory, written in collaboration with Laurence Stallings, was a great hit and convinced Anderson to leave the World and concentrate on writing. As a dramatist Anderson was extremely successful and popular, with many hits during the 1930s and 1940s. He also wrote screenplays for some very successful films, such as All Quiet on the Western Front (1930) and Death Takes a Holiday (1934). He won the 1933 Pulitzer Prize for Drama and twice won the New York Drama Critics Circle Award (1933 and 1937). In 1954, he was awarded the Gold Medal in Drama from the National Institute of Arts and Letters. Some of his work was also adapted for television. His works include Outside Looking In (1925), Saturday's Children (1927), Gypsy (1929), Elizabeth the Queen (1930), Both Your Houses (1933), Mary of Scotland (1933), Winterset (1935), The Wingless Victory (1936), Key Largo (1939), Candle in the Wind (1941), Truckline Cafe (1946), Anne of the Thousand Days (1948), Barefoot in Athens (1951) and The Golden Six (1958).